>> Mario Goetze scored a superb extra-time winner as Germany beat Argentina 1-0 to become the first European team to win a World Cup held in South America on 13 July 2014 (Sunday). >> Bayern Munich star Goetze struck in the 113th minute to finally break Argentina's resistance as Lionel Messi's dream of emulating Diego Maradona ended in defeat. 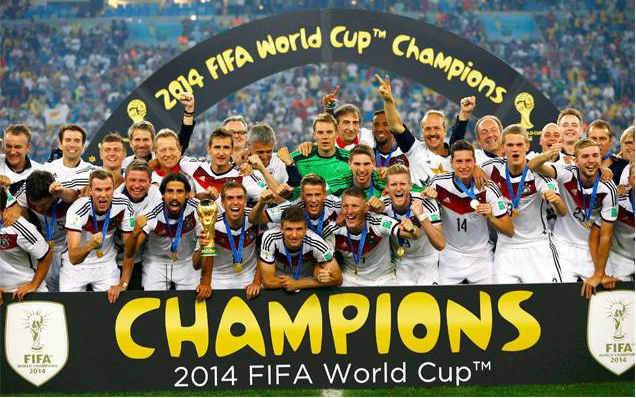 >> Germany has now won four World Cups, putting the European powerhouses just one behind Brazil's record tally of five. >> “It's unbelievable what we have achieved. Whether we have the best individual player doesn't matter at all, you just need to have the best team,” said delighted Germany captain Philipp Lahm. >> The decisive moment of a World Cup brimming with wonderful goals came with penalties looming in front of 74,738 fans at Rio de Janeiro's famous Maracana Stadium. >> Andre Schuerrle burst clear down the left flank and crossed for Goetze. The 22-year-old took the ball on his chest and then volleyed past Sergio Romero to spark delirium amongst the largely pro-German crowd. >> Germany earned a much-deserved World Cup, finally topping a wonderful era for this generation, who had lived the past eight years in the shadow of Spain's imperious reign. It was a fitting passing of the baton. Germany also became the first European country to win a world title in the Americas, and only the second country after Brazil (1958, 2002) to win a World Cup outside their respective continent. The Winner team Germany will be getting US$35 million as prize money. * The 2014 FIFA World Cup was the 20th FIFA World Cup, the tournament for the association football world championship, which took place at several venues across Brazil. 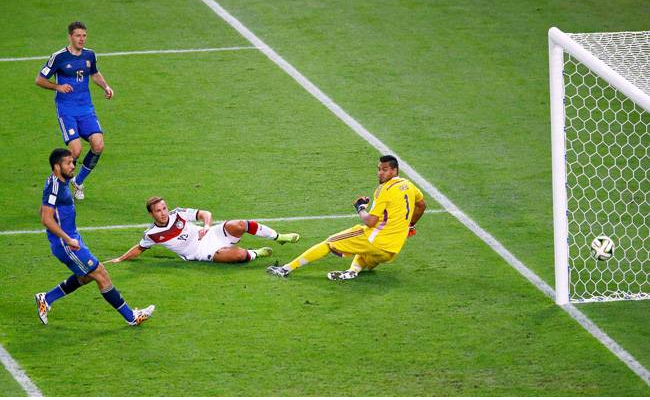 It began on 12 June, with a group stage, and concluded on 13 July with the final. * It was the second time that Brazil has hosted the competition, the first being in 1950. * For the first time at a World Cup finals, match officials used goal-line technology, as well as vanishing foam for free kicks. * Despite the hosts Brazil finishing in the last four, their presence of the tournament was overshadowed by their record-shattering 7-1 loss to eventual champions, Germany, in the semi-finals.